I don&apos;t know why people writing about the election - especially conservatives - keep getting this wrong. Today it is Edward Luce writing in the Financial Times. The RealClear Politics website’s average of polls, which gives Mr Obama a lead of 6.8 per cent over Mr McCain, offers a better guide to the situation. It compares to John Kerry’s lead just a few weeks before he lost the 2004 election to Mr Bush. Notice something? After late August of 2004, Sen. Kerry never had a lead on President Bush. That&apos;s exactly the opposite of what the Financial Times said. Again, I don&apos;t think the election is in the bag. 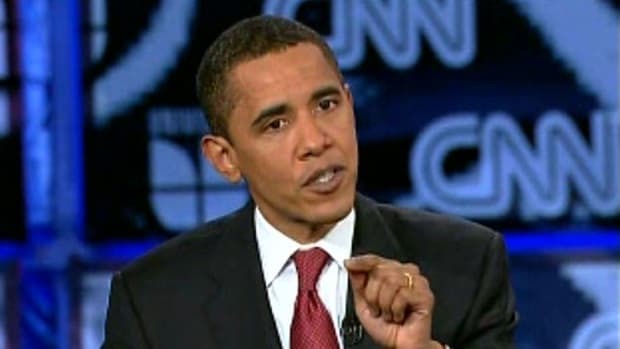 I think Sen. Obama is going to have to fight, fight, fight the last few weeks against a Republican attack machine who has never faced a situation this negative before. But let us not rewrite history - recent history - in order to create some narrative for John McCain that doesn&apos;t exist. Here is the current state of the race, using the RCP average. At this point, Sen. McCain&apos;s trajectory has more in common with Sen. Kerry&apos;s.